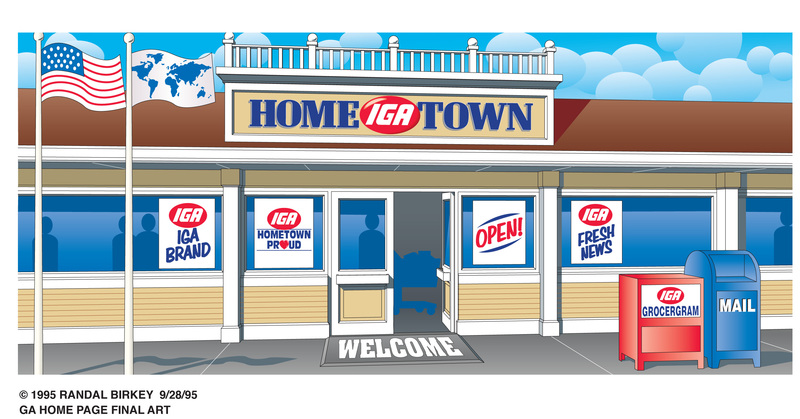 Randal created this “Hometown IGA” illustration for IGA International for use on the home page of their website in 1995. The image was placed into the HTML of the web page and an “image map” technique used to create links to other pages on the company website. This was one of the earliest projects Randal did that involved the Internet and the new world wide web. The image was created in Adobe Illustrator on a Macintosh computer.